OK so it’s been a while since I posted about my Tokyo adventures…and there’s still heaps to share, so here is one favourite day I spent with friends Akie and U-Tarou (from Baal), who you see below. I was still getting used to my extensions, and finding that they got incredibly knotty incredibly quickly, took to putting my hair back in ponytails. I wouldn’t normally, feeling I’m perhaps a tad old now for the look, but hey! It’s Tokyo; I can look kawaii if I want. I wore violet circle lenses, and some co-ordinating eyeshadow. Naturally, there was leopard print involved in my outfit. First stop was Nakano, which is to the west of Shinjuku, otherwise known as the other Akihabara. There were toy and figure shops and maid cafes there before anywhere else in Tokyo, and otaku used to head here before Akihabara developed and blossomed to the geek paradise it is today. (See this blog: Tokyobling, for a really good rundown on the area). Destination: Nakano Broadway. Just opposite the train station, there is a covered street you can stroll down, with lovely sunshine streaming in through the glass ceiling, making it very bright. When you get to the end of this walkway, you come to a mall or arcade, which is a rabbit warren of curio. Take the escalators up and you’ll see lots of interesting little shops filled with toys, figurines, cosplay gear, doll accessories, clothes etc. 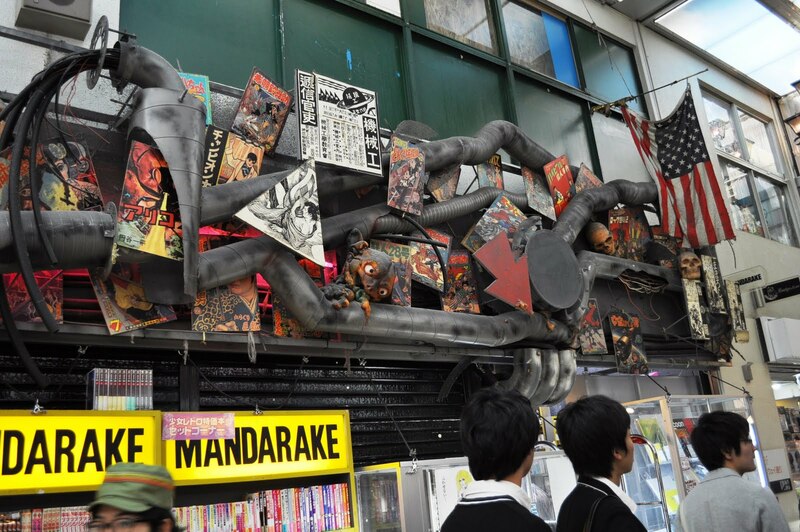 One of the most famous Manga and anime chain stores in Japan, Mandarake, are established in force at Nakano Broadway, with numerous speciality store covering everything from plastic model kits, cell phone straps, anime cells to cosplay uniforms and antique books and magazines. It is also the place to pick up cheap second hand computers, anime figures, second hand manga and some extremely rare pop culture antiques (shop signs, old posters, enamel novely good from the pre-war era). 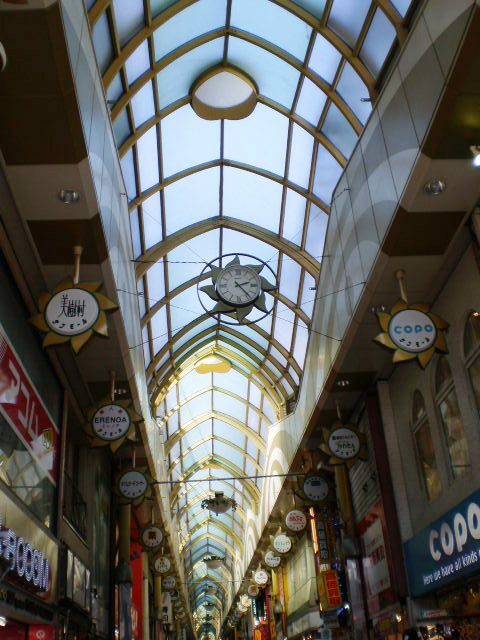 In short, Nakano Broadway is everything that Akihabara used to be. Not being otaku myself, I was more interested in fashion than figurines, so no pics from me on that score. After some shopping there, we headed back to the train station to check ut Koenji – a very cool suburb with a lot of secondhand stores and punk flavour. Meeting up with Emery, we checked out a variety store…whereupon he promptly choked a chicken! Wild Rover 2010 – Punk Adventures in Tokyo. those little dollshoes are sooo cute! They are absolutely ickle and kawaii, aren't they? Your friends look so cool :3 How did you meet them? That arcade in Nakano is gorgeous!